Texans understand how energy bills can fluctuate rapidly depending on the season. We go from bitter cold days to steamy hot summers in almost the blink of an eye. Having control over your electric bill can be tricky under these circumstances. 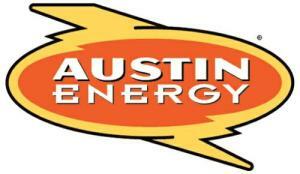 Well thanks to Austin Energy, there’s an app available to help you monitor your energy spending day in and day out. On the Austin Energy website, if you enter your account information, you are able to follow the ‘cost’ link to see a chart that displays your consumption of energy daily, and how much you are spending per day as a result. It’s a great way to see how much you can expect to be paying each month, especially when you look at the forecast option provided. It can really take the guessing game out of what is happening in the home from an energy consumption perspective. The great aspect of this ability is how you can then adjust your utilization of electricity by noticing which days you are a heavy user, and which days you are light on energy requirements. This allows you to consider how you may change some seemingly simple habits to save money. Is a particular day your heavy laundry day? Perhaps spreading out the load could reduce your overall usage. Or you might notice some days your lights stay on longer than others. By turning a few off on those days, you start saving money. Even saving a couple dollars each day can have a large impact on your monthly bill. Austin Energy isn’t the only power provider to offer this kind of knowledge; Perdenales Electric Cooperative also has a similar tool on their website as well. Everyone enjoys saving money, and luckily there’s an app for that.